Take a trip down the most famous river in the world on the lookout for ancient treasures. A While on the Nile from NextGen Gaming is themed around ancient Egypt with cartoon-style graphics. This online video slot is very rewarding and packs plenty of action into five reels and 50 paylines, with some exciting features just waiting to be activated including the Superbet feature and the Scarab bonus game, to name a couple. 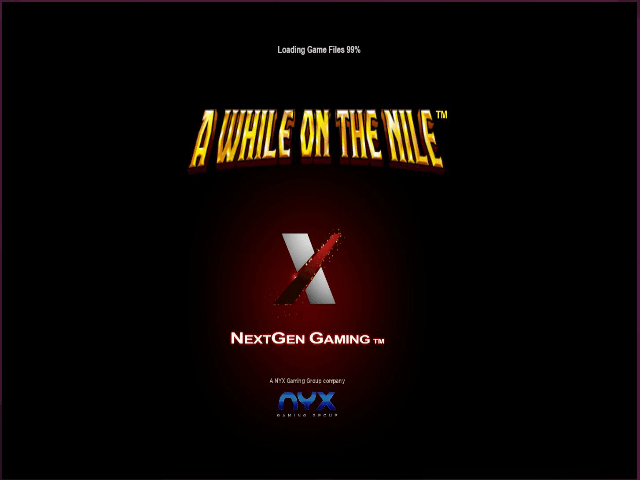 Read on to find out more about NextGen’s A While on the Nile video slot. Play A While On The Nile Slot Demo for Free! Play A While On The Nile for Real Money! Sail down Africa’s most famous river and enjoy the heaps of extras it has floating on the reels. The visuals are refreshing, with the symbols bringing all the famous sights from ancient Egypt to gameplay, including Cleopatra (who happens to be featured in her own slot game from IGT), the Eye of Horus, Pharaoh’s staff and a stone tablet covered in hieroglyphics. 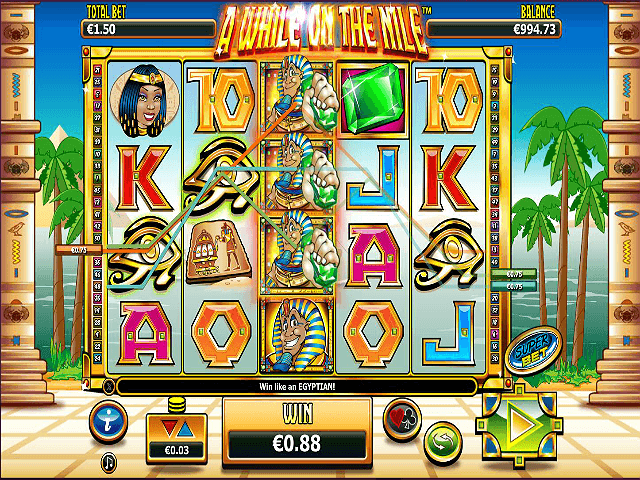 A While on the Nile can be played from 50p per spin up to a maximum bet of £20 per spin. This video slot features Free Spins, a pick-me bonus and a rewarding Superbet feature, as well as an impressive return to player of 95.1% - 95.6%! The action is played against the backdrop of the Nile with plenty of bonus play to dive into. Along with the classic Egyptian symbols, there are playing card symbols from Ace down to Jack, with the Pharaoh acting as the Wild, substituting for all other symbols bar the Scatter. There is also a SuperBet feature, which is a common sight in NextGen titles. 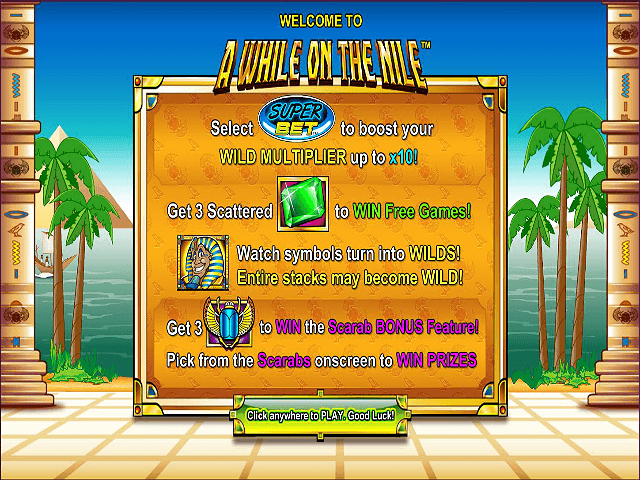 Here you can pay an extra wager to hit a Multiplier up to 10x when the Pharaoh Wild is part of the winning combo. A gamble feature appears after every winning spin. Here you have the choice to double or nothing or quadruple or nothing, adding another level of excitement to the A While on the Nile online slot game. The Superbet feature allows you to set the Wild Multiplier – a higher Multiplier will also mean a higher bet value. Let's break it down a bit: a set 10x Multiplier could mean a 300x higher bet investment, so you should always use the Suberbet feature wisely. If you use it to your advantage, then it can prove to be a very profitable feature in the A While on the Nile slot. A Scarab bonus game is activated when three or more Scarab Scatter symbols appear on the reels. This is a prize picking bonus game where you need to pick from the Scarabs displayed on the reels. Simply unearth cash prices until you come across the ‘Collect’ Scarab. A While on the Nile online slot game has a Free Spins bonus game that’s triggered when three of more of the Jewel Scatter symbols appear anywhere on reels two, three and four but not reels one or five. You’ll receive five Free Spins, random symbols and stacks of symbols that can turn Wild during the Free Spins play. The Free Spins bonus feature can be re-triggered for further winning potential too. 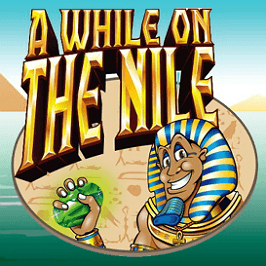 You’ll go wild for A While on the Nile so be sure to check out a casino offering the game soon! Share this A While On The Nile Review today! 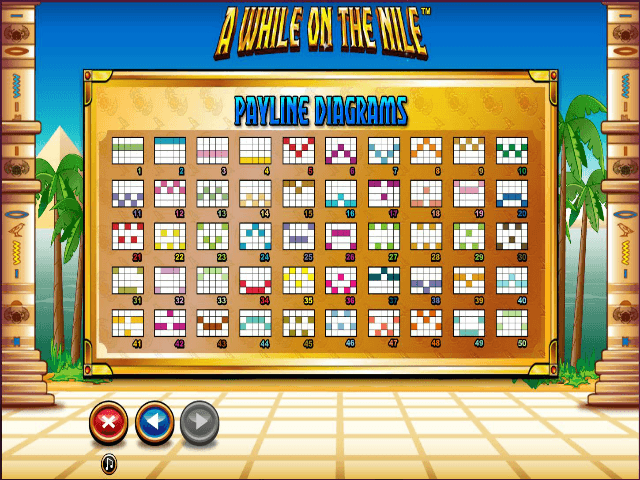 If you like A While On The Nile, you'll love these slot titles too!